It was a dog. Or maybe it was one of those mythical chupacabras. Whatever the animal was, it looked sick. 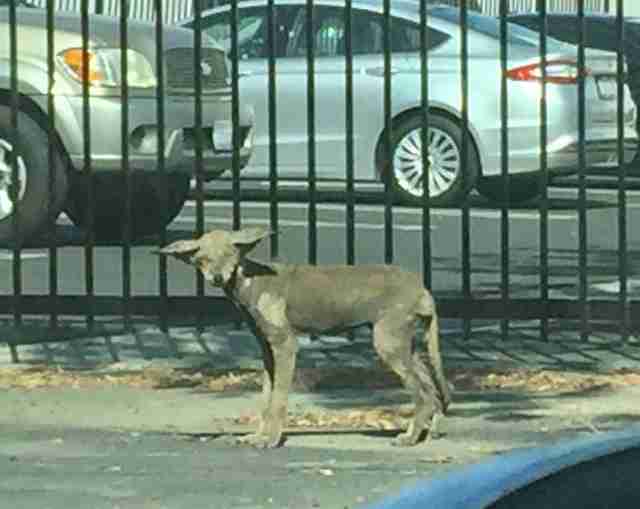 Christine Marquez got her first look at Franky when people in her neighborhood started posting photos of the strange-looking animal, who’d been wandering around Whittier, California, for the past several weeks. In one photo, Franky was drinking water out of someone’s birdbath in their backyard. 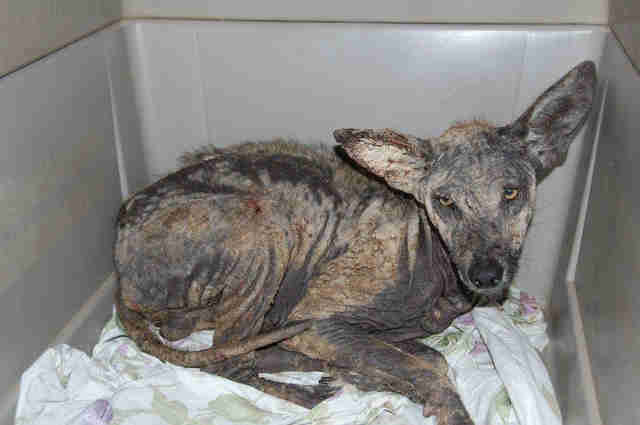 Franky was actually a coyote — albeit a very sick one. 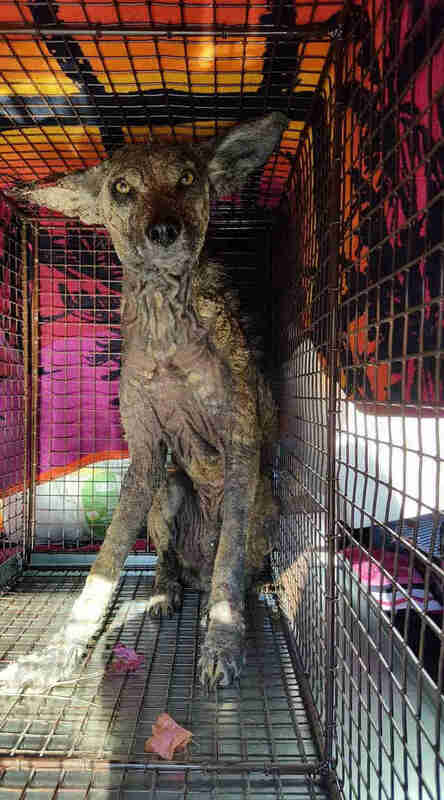 He had a severe case of mange, a contagious skin condition caused by parasites burrowing into his skin, and he’d lost almost all his fur. 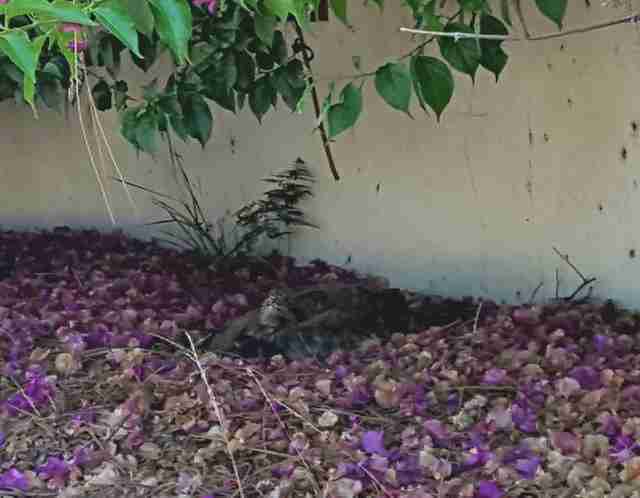 In truth, Marquez wasn’t a fan of coyotes — she only associated them with negative things. But finding help for Franky was harder than Marquez thought it would be. The city hall couldn’t get involved. 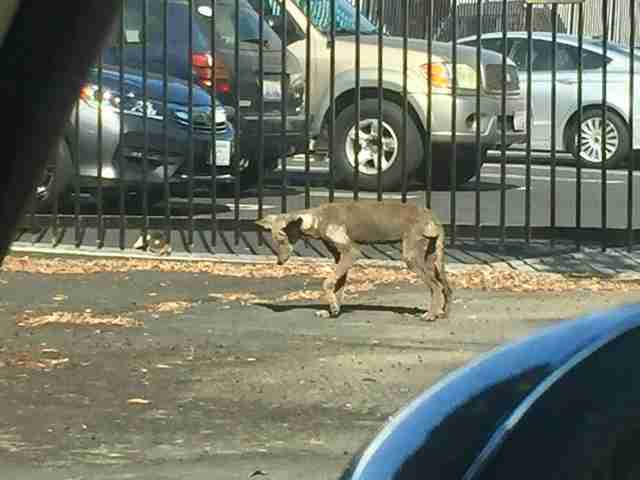 And since Franky was a wild animal, animal control couldn’t help either. 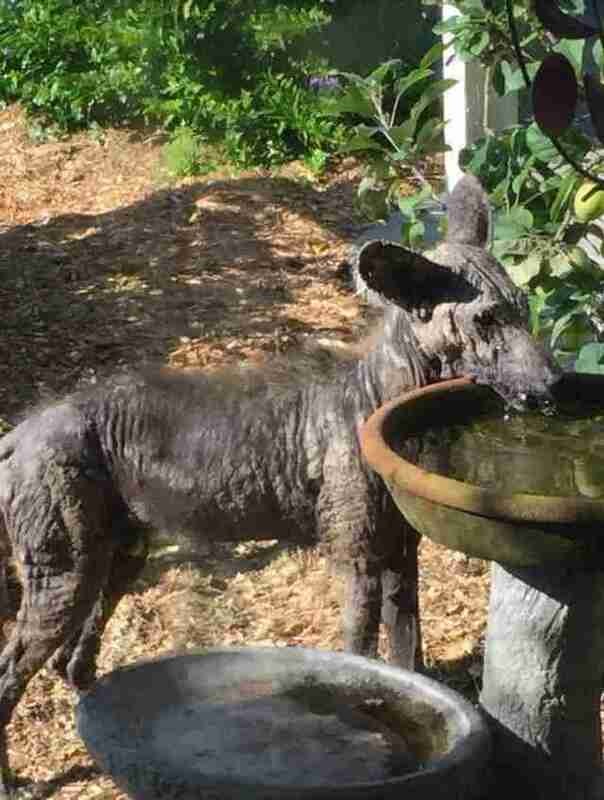 So Marquez turned to the internet, and she connected with wildlife experts in Oregon and Texas, who advised her to put mange medication (which she could buy at most feed stores) into pieces of chicken, and leave the chicken out where Franky would be sure to eat it. Marquez decided to do exactly that — she bought the medication and chicken, and started watching everyone’s posts about Franky like a hawk, keeping a close watch on his whereabouts. 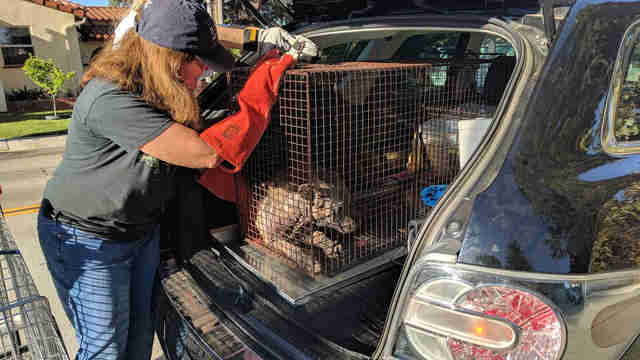 The day Marquez went to lay out chicken for Franky, she got a text message from a woman named Jonsie Reynolds-Ross, a volunteer at Wildlife Care of SoCal, an organization that rescues and rehabilitates wild animals in California. 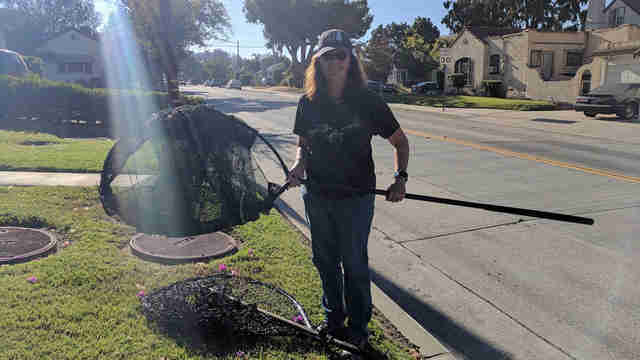 As it turned out, the wildlife group had also been keeping an eye on Franky, and Reynolds-Ross was traveling to Whittier the next morning to try and catch him. The next morning, Reynolds-Ross managed to catch Franky in a net while the coyote was sleeping — he was too weak to put up a fight. Before she drove him back to the rehab center, she gave Marquez a call, and Marquez dashed out to meet her. 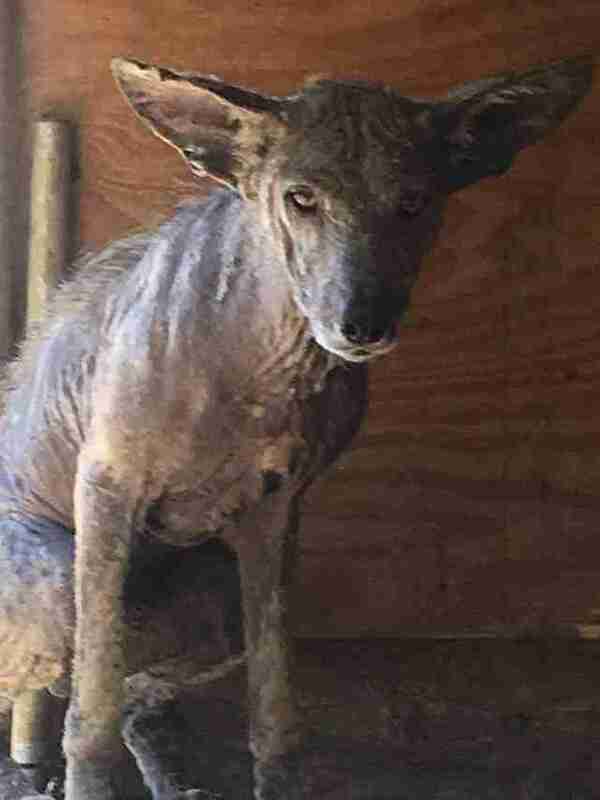 Once Franky arrived at Wildlife Care of SoCal, the staff immediately started treating his mange with medication and put him on a healthy diet. And slowly but surely, he regained his strength. Franky’s also getting his fur back, although it’s taken several weeks for it to grown in. 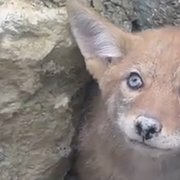 Marquez has been following Franky’s progress, and she can’t wait for the day when Franky is released and can go back to living as a wild coyote should. 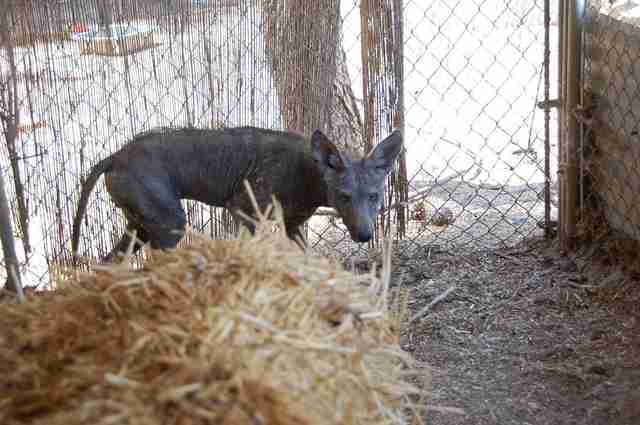 To help Wildlife Care of SoCal rescue more coyotes like Franky, as well as other wild animals, you can make a donation.